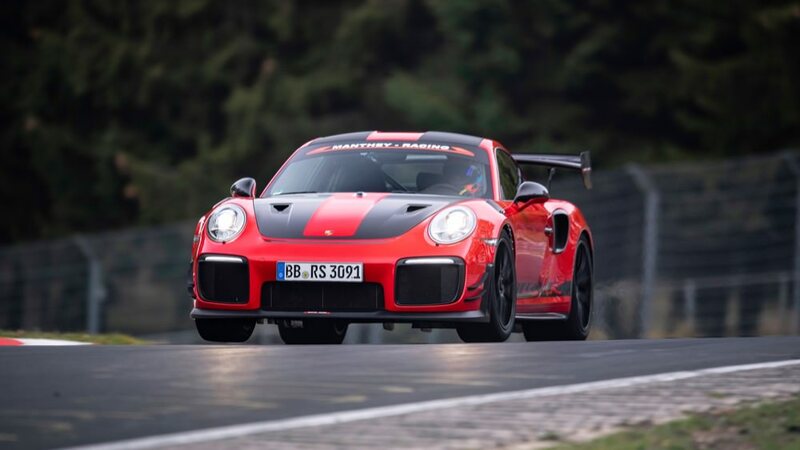 Porsche has once again set a lap record on the Nürburgring-Nordschleife with the 911 GT2 RS MR.
Porsche has successfully reclaimed the fastest lap time for a road car on the Nürburgring, having lost it earlier this year to Lamborghini’s Aventador SVJ. The 911 GT2 RS MR is a specially tuned version of the turbocharged 911 GT2 RS, created by the Manthey-Racing motorsport team, hence the MR designation. On a darkening track, it posted a lap time of 6:40.33 minutes, knocking four seconds off the previous record. It was seven seconds faster than the standard 911 GT2 RS time. It’s based on the 911 GT2 RS, which is powered by a turbocharged 3.8-litre flax-six engine producing 700hp and 750Nm of torque. The rear-wheel drive car weighs just 1,470kg and has a top speed of 340km/h, while 0-100km/h takes a mere 2.8 seconds. The changes Manthey-Racing made to the GT2 RS include tweaks to the aerodynamics package. Its entire chassis and suspension setup was specifically tailored to suit the Nürburgring-Nordschleife. Manthey-Racing, which is 51-per cent owned by Porsche AG, was able to tap into the experience from Porsche’s development of the 911 RSR and 911 GT3 R race cars. “We kept our eye on the weather all day and thought hard about whether such a drive was possible. We would not have taken any risks if it was raining or if the track was slightly damp,” said Dr Frank-Steffen Walliser, Head of Motorsport and GT Cars. The car was driven by Lars Kern, a development engineers and experienced ‘Ring’ pilot, having participated in several VLN races there. The only other modification to the car for the record attempt was the fitment of a bucket racing seat for safety reasons, although it isn’t said to weight any less. You might not want to set your own ‘Ring’ record, but are you getting the most performance out of your car? 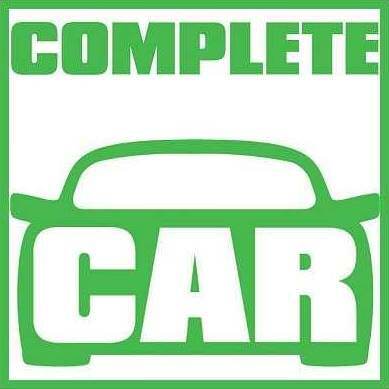 Here are some useful tips for ensuring that your car is running at its best.